LG has been making some pretty good moves lately, first releasing the notable Optimus G, and more recently the Optimus G Pro – a powerful phablet device with a large 5.5" screen and the Snapdragon 600 processor. However, since LG simply markets the Optimus G Pro as its best smartphone right now, we're just going to go ahead and compare it to Samsung's best smartphone, which is the Galaxy S4. This is not StarCraft II, but we promise you, guys, this Korea vs Korea battle will be just as intense! 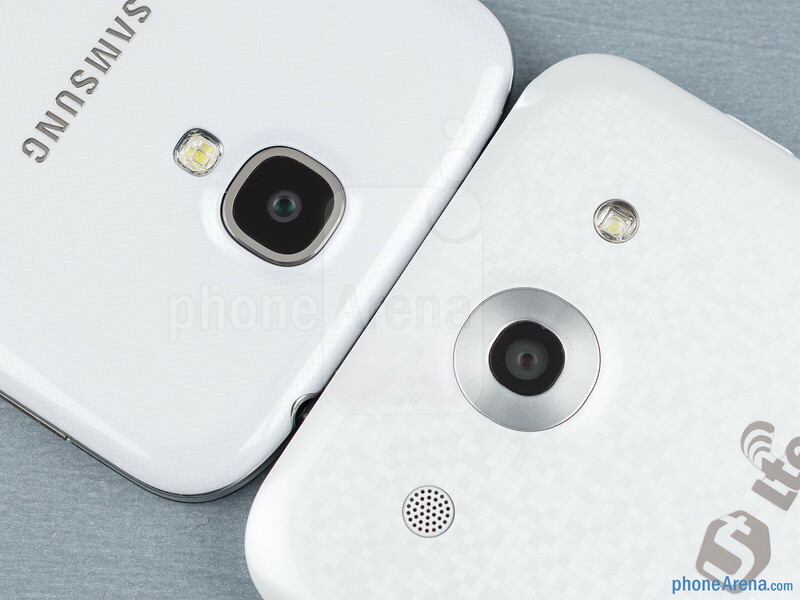 Although pretty similar in design language, we think that the Galaxy S4 has a definite edge in the appearance department. Both handsets are made of glossy plastic, which we like, though the characterstic texture on the back of the Optimus G Pro is a bit too expressive for our taste. Still, it's worth noting that we're testing te Korean variant of the Optimus G Pro, so that design element may not be preserved in the U.S variant. In terms of size, LG has done wonders with its phablet, which sits surprisingly comfortably in the hand thanks to its super-thin bezel. However, the same thing is also true for the Galaxy S4, which has a super-thin bezel of its own, and given its smaller screen, it's even more comfortable to use. 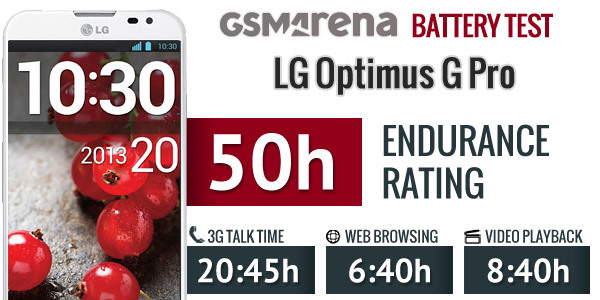 Naturally, the GS4 is also lighter, which should be taken into account if you plan to be wearing it in your pocket. OK, so obviously the Optimus G Pro has a significantly bigger display at 5.5 inches, and that's something the Galaxy S4 can't change. 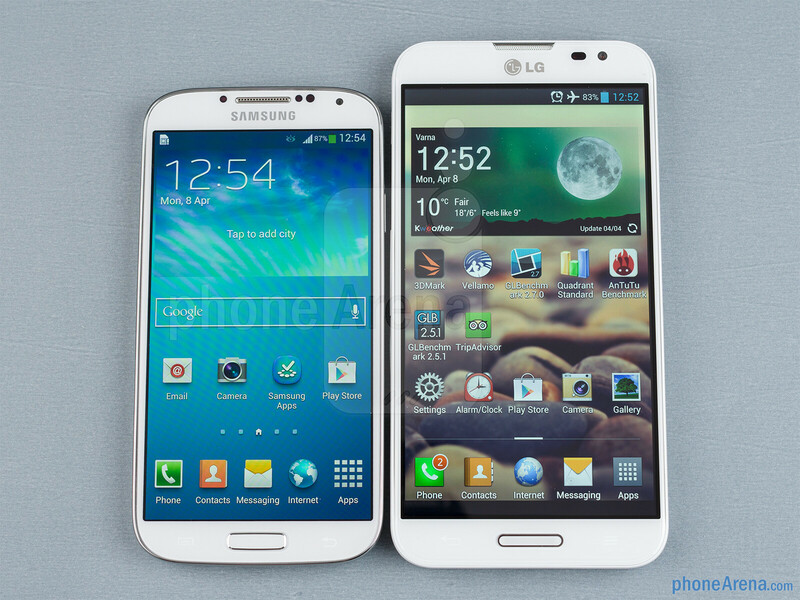 What the GS4 can do, however, is to offer a more true-to-life AMOLED display than LG's IPS LCD. It used to be the other way around, with AMOLEDs struggling to compete with LCDs in the colors department, but something must have gone seriously wrong in the making of the Optimus G Pro's display, which is visibly colder-looking than the one of the Galaxy S4. Viewing angles are also better on Samsung's device, as the G Pro is quick to lose some precious contrast and brightness when looked at an angle. 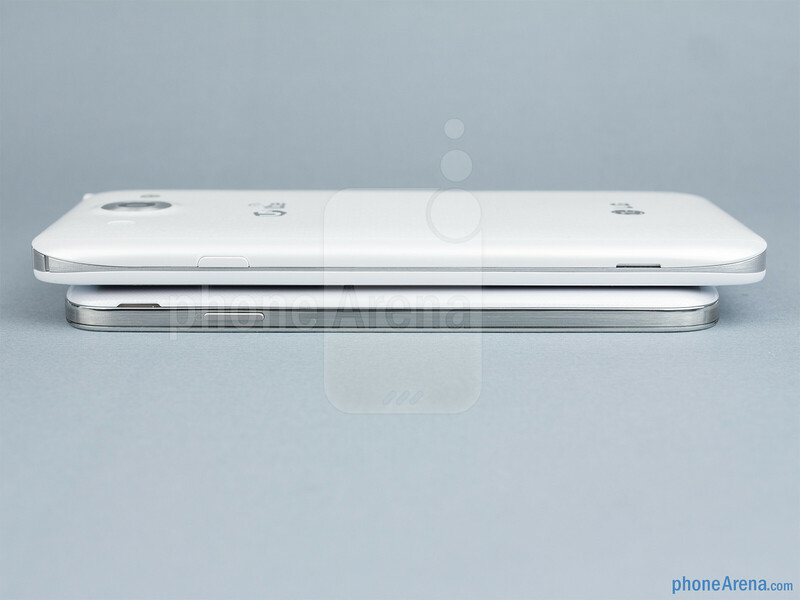 However, the Optimus G Pro does have the brighter screen, which makes it easier to view outdoors. At least that is one area where LCD are still unsurpassed. 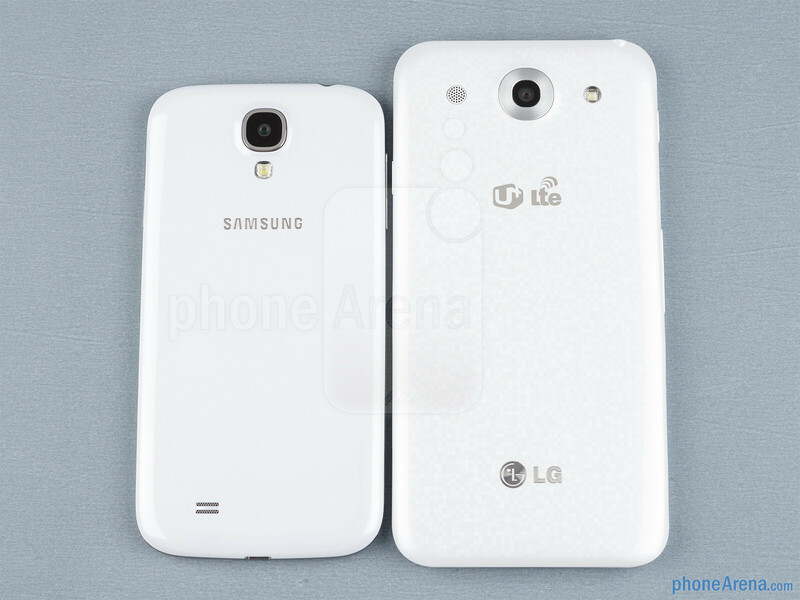 http://i-cdn.phonearena.com/images/reviews/130766-image/Samsung-Galaxy-S4-vs-LG-Optimus-G-Pro-01.jpg On some websites I saw some statements like "S4's bezel is very very thin but not as thin as LG G Pro" Now I'm sure that they were wrong. The "inner" bezel of LG Optimus G Pro is wider than the one in S4, therefore the whole bezel is bigger (in proportion to the screen that is) in the LG Optimus G Pro than in the Samsung Galaxy S 4. No they were not wrong. 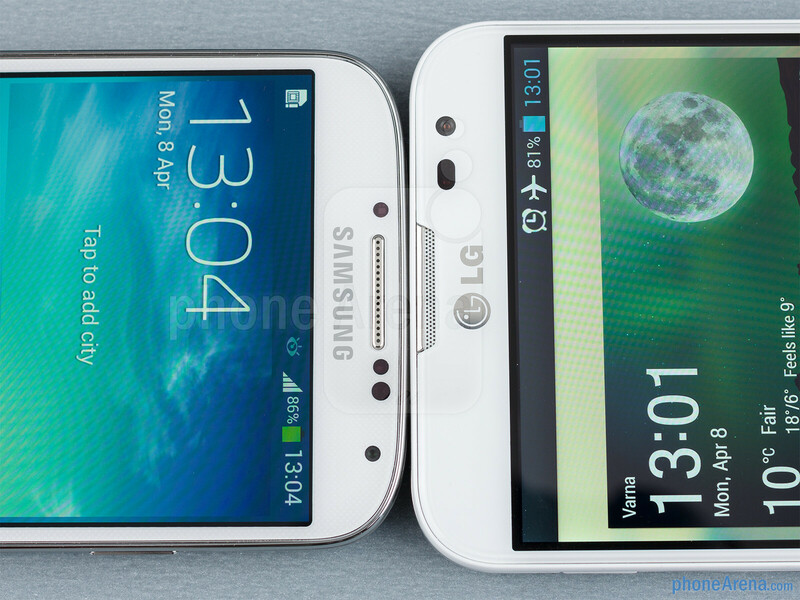 The bezel around the LG is not as wide as the samsung. S4 has the largest display compared to other smartphones of its size, where as the L920 is not just fat but has a huge bezel, as well! Also the G Pro is not considered as a regular smartphone but as a phablet. Are you forggeting the Xperia ZL samsung fanboy ?? The zl is smaller dimension wise but mind you its heavier and thicker. Keep your views reserved until you use both of them.The sammy might turn out to be the easier one to handle as only the height is marginally more and the width is negated by difference in thickness. The zl's usable screen estate is also less if you are forgetting that. All this with a way bigger battery makes the samsung a winner. So, who is the fanboy now? Know the background info before you actually term someone as a fanboy. Appreciate better technology if you are on a tech website. Let's not forget that s4 has a large display but smaller body /chassis than 920..so larger display in smaller phone is a lot advantage..
OMG... did LG think of that design on their own??? not they got their own innovation PASTE..
Can We get some Screen-to-Phone Raito numbers, Please? I know the Sony Xpreia ZL has 75% I really dislike any kind of unuse bezel. u dont even readed the reviews talking about amoled.....sad. Sony's fans similar behaviors: Blaming S4's saturation without reading anything about the change about screen the latest Samsung flagship, and praise Sony's screen as the best for true colors while don't forget to praise BE2 also which made everything even more saturated than normal Amoled screen, lol. Another fanboy to deal with. Read the latest reviews and test reports. The new gen amoleds have been tuned very well. Infact they give the user the flexibility to choose between saturated or natural colors. To each his own you know. This display is true to life because of very good color reproduction, best viewing angles and best contrast. 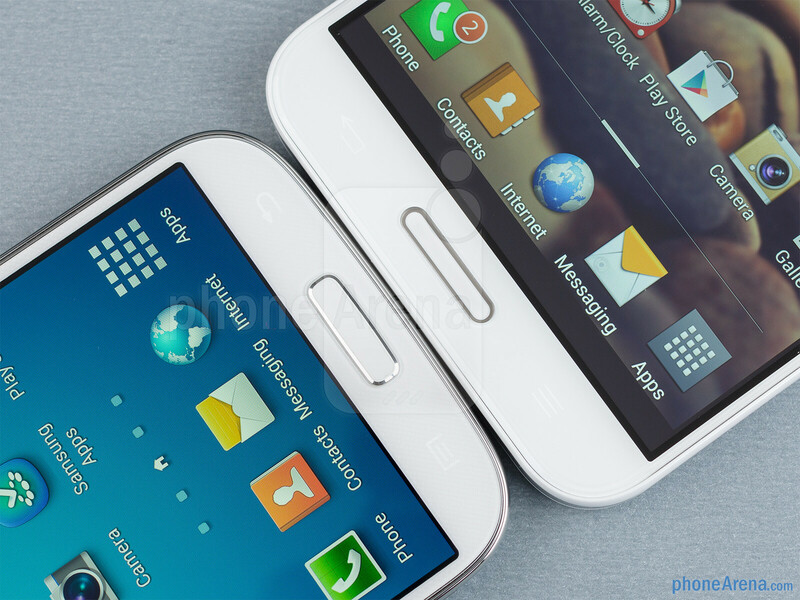 why ......... S4 vs Note 2 again ? 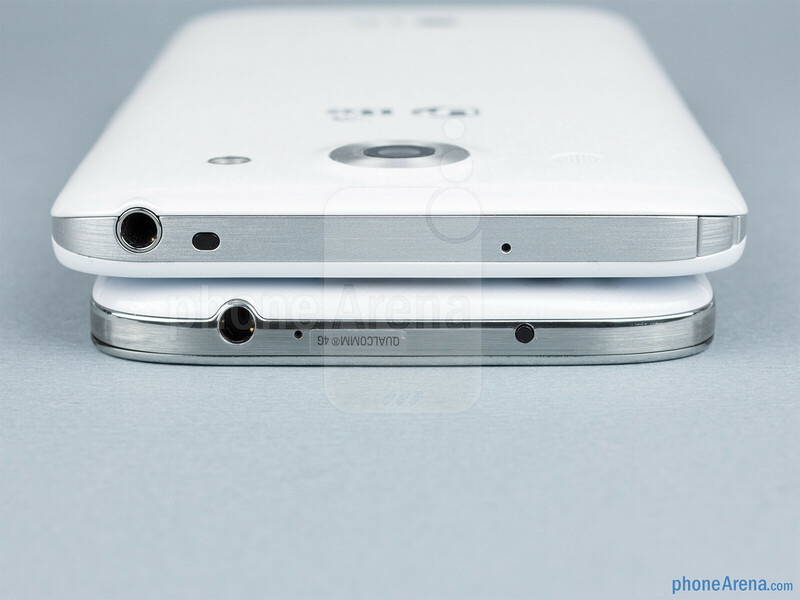 The LG Optimus G pro has an IR blaster as well, This article seems pretty biased. Note 2 it isn't nothing compared to LG Optimus G Pro.This LG Phablet has more premium feel and finish because it's all made of glass, Corning Gorilla Glass and it's reinforced in Kevlar at its back, not bezel. 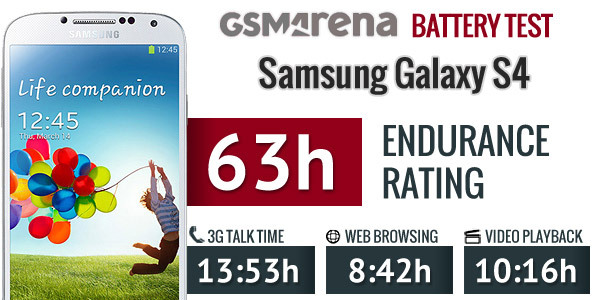 What stupidity of the reviewers of Phone Arena site. 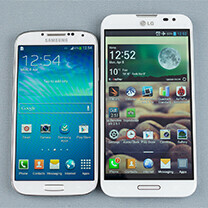 And LG didn't copied nothing of Samsung, it was Samsung that copied technologies from Lg. 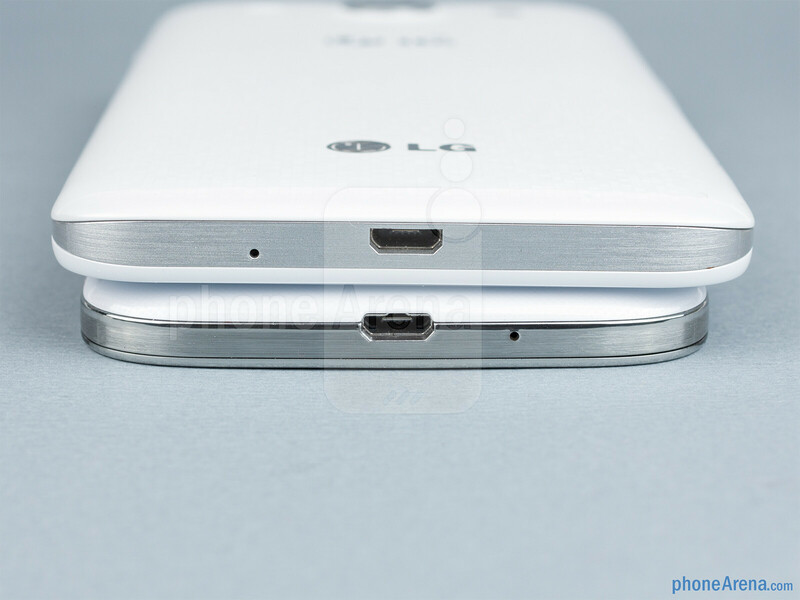 LG knows to make their phones without help of no one. Now for Samsung it's placed in a prestigious position already the Samsung fanboys can to bash the competing brands and place them in the trash. The screen technology of this phone it's so good as the technology of the S4 screen. And it has an powerful battery compared with the battery of S4 which it isn't enough for intensive usage like the battery of G Pro. 2600 mAH it's weak for a phone like Galaxy S4, unless 3000 mAH. I like LG designs. 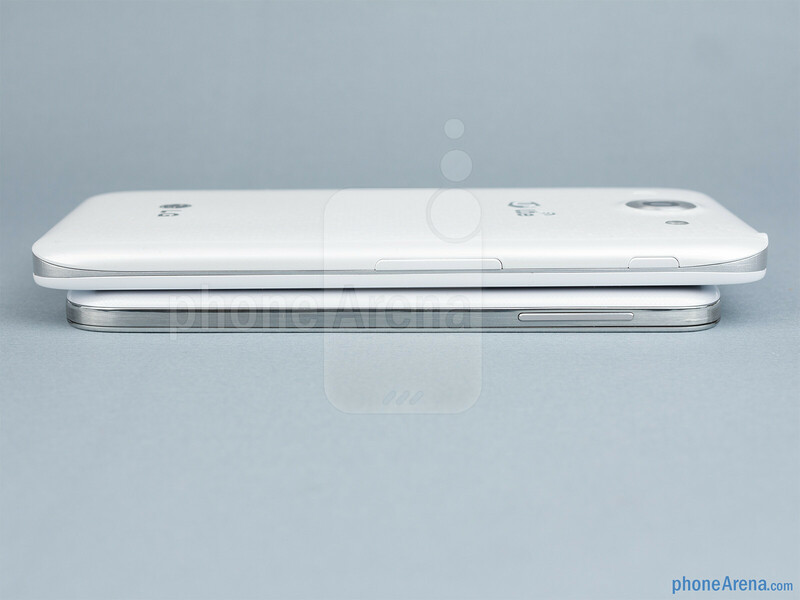 The Prada classy look of the Optimus G was nice. I don't know why they made the pro look like the Note 2. Getting desperate for better sales?